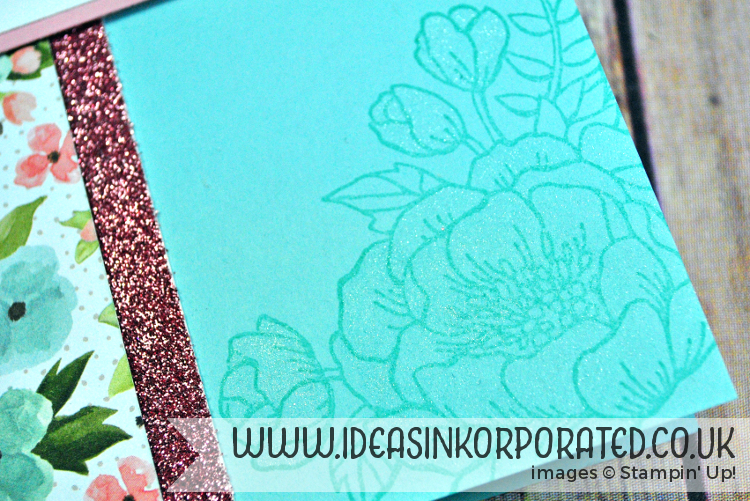 Today is the last day of Sale-a-Bration 2016, and I hope you agree that Stampin’ Up! have really spoilt us with the free products on offer this year. You’ve still got time to get your hands on these exclusive items, but only if you hurry – make sure you place your order today! 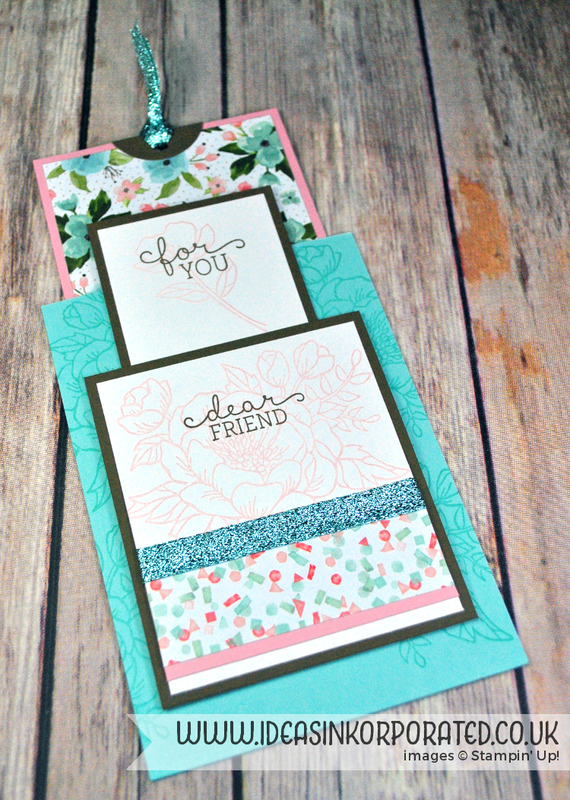 The three-step stampin’ technique allows you to create such lovely flowers. 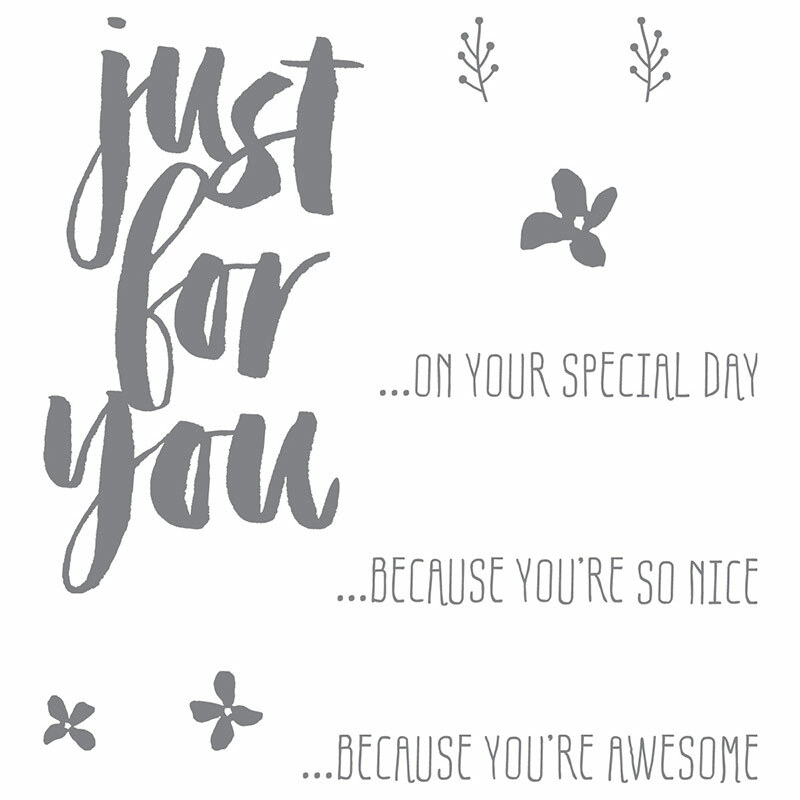 This one’s on my list just because of that amazingly huge sentiment! If any of you follow me on Pinterest, you’ll know that besides pinning hundreds of recipes, I’m kind of addicted to fonts and typography. And all of the sentiments in this set are just perfect. It’ll be hard NOT to keep using this one as they also fit so nicely into many of the tag-style framelits. 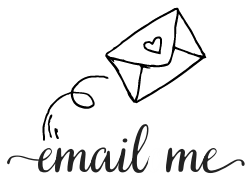 Don’t forget it’s also your last chance to get £160 worth of products of your choice for only £99 by joining Stampin’ Up! as a demonstrator. 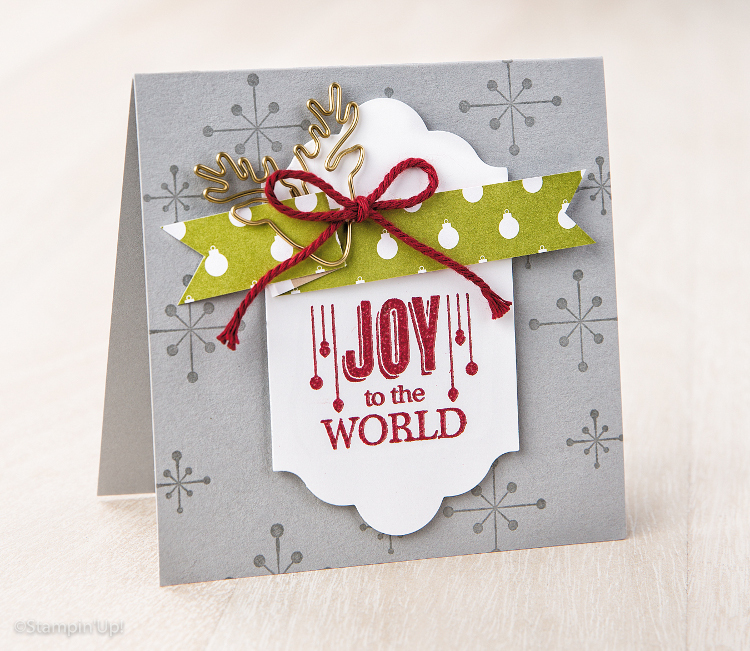 I’ve welcomed three new demonstrators to my team, and it’s amazing to be able to share Stampin’ Up! with them. We’ve got a team meeting on 7th April – would you like to join us? 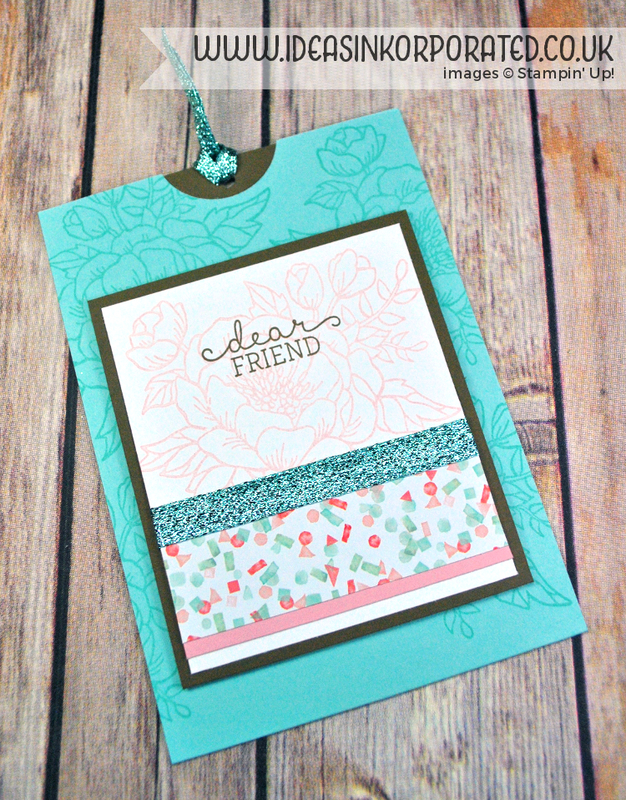 One of my good friends hosted a party on Friday night, and the Birthday Blooms stamp set has caught her eye. This is the Make and Take project that all of the guests completed. It was a very simple design as a few of the guests had never crafted before. 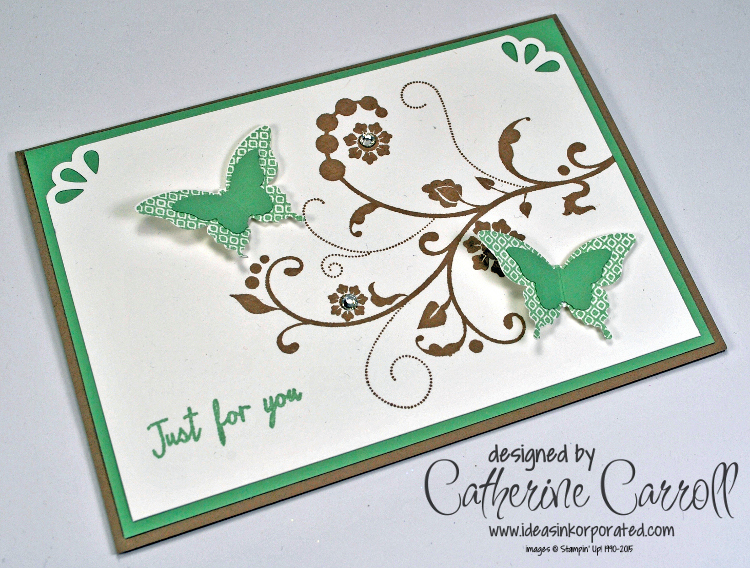 It really shows that you don’t have to be an expert crafter to make a lovely card. 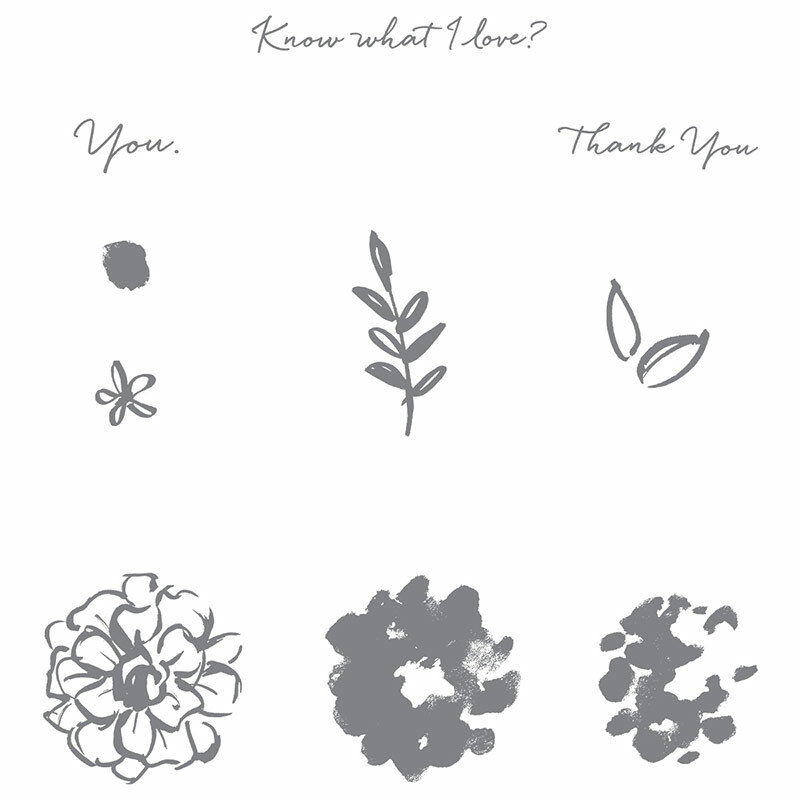 You might be able to see a little bit of sparkle on the stamped flower. I had left my Wink of Stella pen in my toolbox, and when one of the ladies asked what it was, I was more than happy to demonstrate. It looked so nice over the top of the tone-on-tone Pool Party image that I just had to colour it all in. 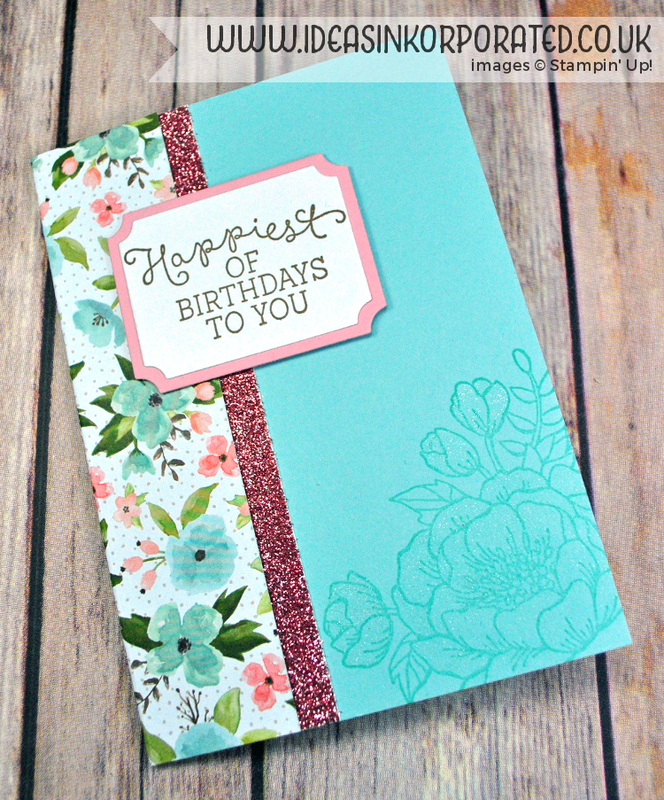 Wow Slider Card with Birthday Blooms from Stampin’ Up! 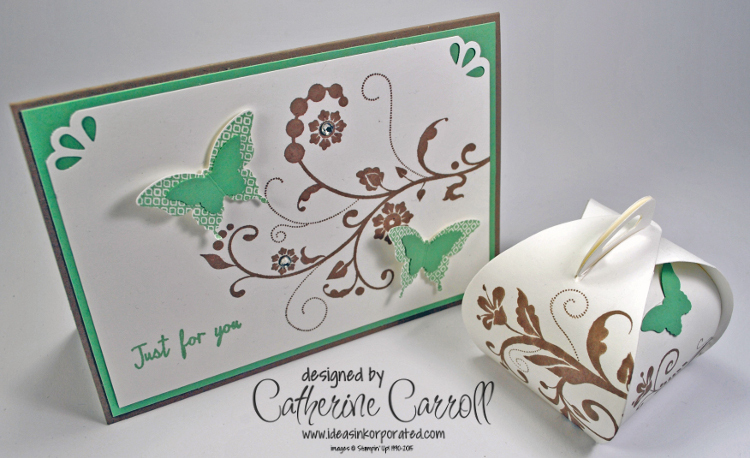 This was the slider card I created using the Birthday Blooms stamp set for my swap for our team training yesterday. There were more than 40 of us, and it was lovely to be able to catch up with a lot of Stampin’ Up! friends all at once. Of course, swapping was involved! Michelle, our team leader, had the idea to use smaller swapping groups of only 5 or so people so that we could make more complicated cards. That meant the pressure was really on to create something special. I hope that this fitted the bill! 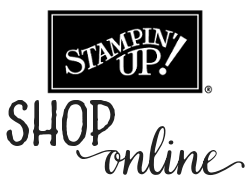 Autumn Winter Catalogue from Stampin’ Up! 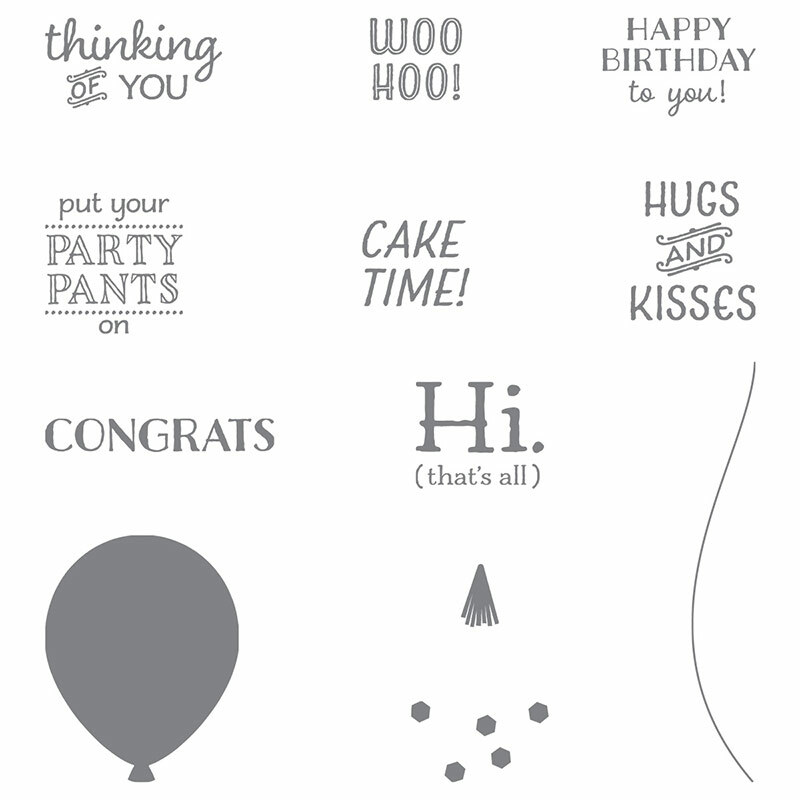 This year's Autumn Winter Catalogue from Stampin' Up! is well worth a read. With no fewer than 17 bundles, there are not only amazing new products for your Christmas crafting but great savings to be had as well. Aren't those reindeer clips lovely? I think I'd be able to use up the entire stock of those on my own. 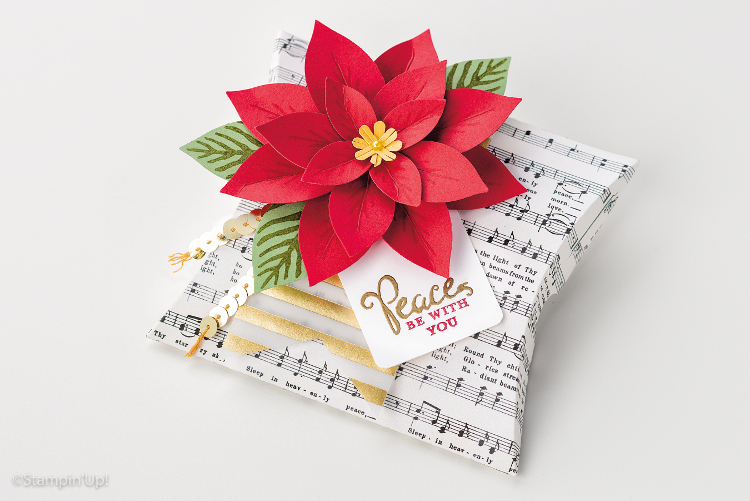 The Festive Flower builder punch makes such a lovely tag topper, and the new Square Pillow Box thinlit is perfect for little gifts. 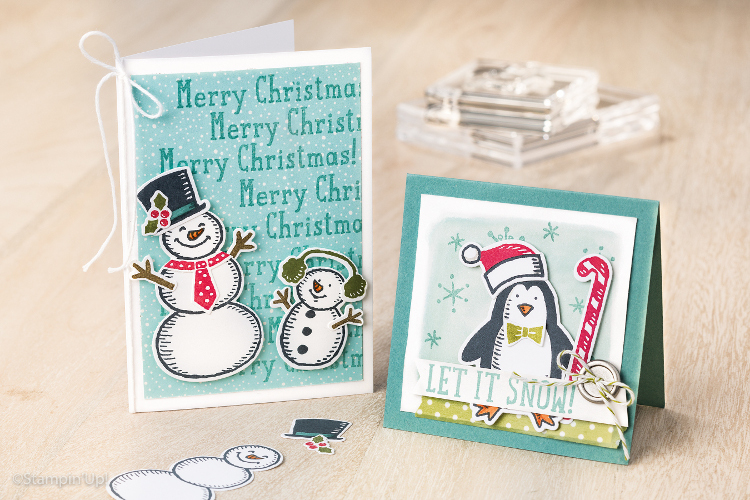 There are always some people on my card list who need a cute card and I will be making a stack of them using the adorable Snow Place set with matching Snow Friends framelits (one of the great bundles I mentioned before! ).